Jaime is a professional, amazing, hard working and very knowledgeable realtor. Jaime has been helping us for years and recommend her to everyone. Look no further for your real estate needs....she is the best leader in this industry. Hey folks....I just wanted to give a shout out regarding the Kelowna, BC Jaime Briggs real estate team....they are "THE BEST"!!! I was so impressed with their professional hands on approach to the sale of my brother’s house in Peachland...it was a seamless hassle free experience....I would HIGHLY recommend them to anyone! Thanks again guys. Jaime is professional and easy to work with. She goes above and beyond! Her customer service is simply the best and she has so much knowledge. I recommend her to friends and family again and again. If you want an amazing, committed, hard-working realtor who can bring you results, this is your girl! We recently completed a Purchase and a Sale with Jaime and we couldn't be happier. She is detailed and stays in regular communication on all aspects of your deal. In our opinion, the sales listing received the best marketing possible and helped us receive top dollar in less than a week. On our Purchase, we were in a bidding war, and Jaime was fierce in negotiating in our favour! Jaime comes with our highest recommendations! Jaime has acted as the selling real estate agent for two of my properties the most recent which sold in April 2017. She is extremely thorough in completing the market analysis ensuring the sellar obtains the best possible price for the property. Her marketing strategies are very professional and ensure the widest possible exposure. Throughout the sales process she is prompt in keeping the sellar advised of showings as well as activity on comparable properties. Jaime is a real pleasure to work with and you can be confidant that she will do her best to sell your property. If you are looking to buy or sell in the Central Okanagan I would highly recommend Jaime. Jaime is an exceptional agent. We are lucky to have met her and then to decide to list our home, then to sell very quickly. GREAT Job Jaime. Thanks again. Because of us living in Vancouver, Jaime was good at keeping us informed of what was available in West Kelowna. When she showed us homes, we so appreciated her honesty about the home and she was good at know what we were looking for. We appreciated her guiding us through all the paperwork so effortlessly. Are you looking for a genuine, honest, hard working realtor? Then look no further... Jaime Briggs is for you! We had the pleasure of working with Jamie in September / October of 2016. Everything about Jaime is professional. From the photos she has taken of your home, to the brochures, the advertising and the Open Houses are all handled with the upmost professionalism. Our house sold in 6 days!!! Jaime is extremely knowledgeable of the Real Estate market and was such a help with the purchase of our brand new build home!!! She knew just the right questions to ask the builder and we are so grateful for her personal experience. One of the greatest qualities that we appreciate is Jaime's willingness to continually be in contact with you. We were NEVER left wondering what was going on! Even after all the dust settled and we had moved into our new home, Jaime was still in contact with us making sure everything was okay! We highly recommend Jaime Briggs. Jaime was completely professional in every aspect of the purchase of our new home and the sale of our current home. She has been very thorough, honest, accommodating, competent, knowledgeable and very supportive in every way. This has been a very positive experience in every way. My spouse and I have relocated approximately 14 times throughout the years. However, this most recent move has proved to be without a doubt the most efficient and professional, primarily due to the efforts of Miss Jaime Briggs. For those of you whom are looking for a representative to truly provide all aspects of a Realtor, and then some, I would highly recommend the above Realtor. On behalf of my spouse and I, outstanding and thank you Jaime. You have truly outdone all previous competitors!! Your Real Estate is a huge investment and choosing the right REALTOR® can be a difficult decision. It's important to find an agent you can trust, who works hard for you, and has a proven track record of success! Licensed since 2006, Jaime Briggs has been an award-winning REALTOR® for over 11 years, including being awarded "Top Ten Agent Coldwell Banker Canada" (2015 GCI), International President's Elite (2016/15/14), International President's Circle (2007-2013), and Ultimate Service Award. Jaime is also a Coldwell Banker Previews Luxury Real Estate Specialist for the higher-end market. Jaime works hard to ensure the success and happiness of her clients, and by doing so has built a solid foundation of long term repeat clients and business referrals. Read past client testimonials here. Working with both Buyers and Sellers, Jaime knows Kelowna & West Kelowna very well and will help you find your dream home, sell your current home, or find you the right investment property! 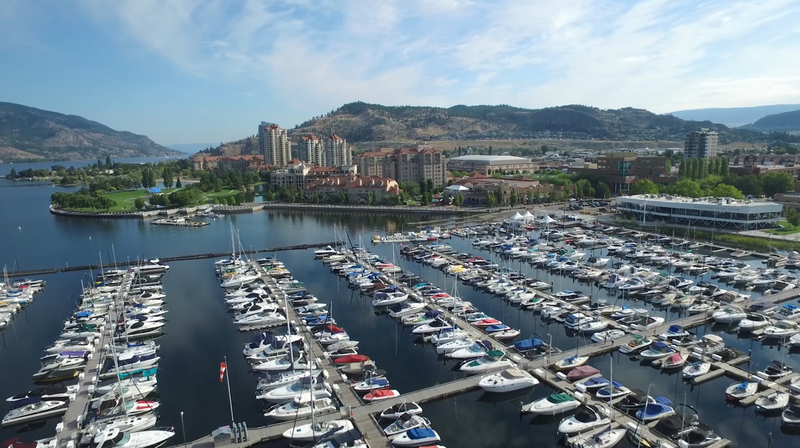 Sign up for our Monthly Newsletter to keep on top of the latest Kelowna Real Estate market stats, the latest Real Estate tips, plus the best listings the Okanagan has to offer.